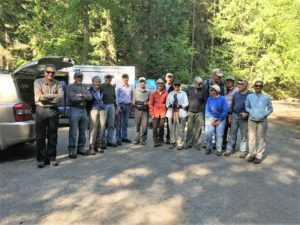 The popular "Kokanee Creek Cleanup" brought out 15 participants to work on the Thicket, Darkwood, Grasslands and Kokanee Landing Trails on May 13. The group divided up into 4 crews and spent the morning brushing out the trails. The Kokanee Landing Trail is an old trail to the marina east of the park that has not seen a good clearing for many years. 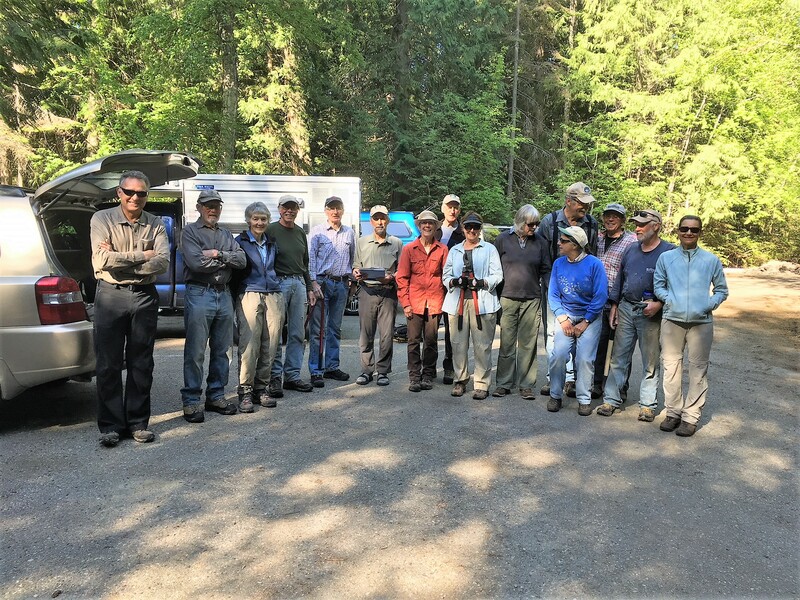 The participants in this year's Cleanup were: (L to R) Hugh Ackroyd, Bert Port, Sue Port, Peter Jordan, Eric Sargent, Fred Thiessen, Emilee Fanjoy, Maurice de St Jorre, Vivien Bowers, Sandy Lintz, Joe Lintz, Ursula Lowrey, Terry Lowrey, Eric White and Delia Roberts.